The snowy mountain range of the Sierra Nevada stands out for its great height in close proximity to the Mediterranean Sea. Peaks over 3,000 metres, including the Iberian Peninsula’s highest mountain, Mulhacén, combine with the Andalusian climate to create an environment where scores of unique wild plants are to be found. 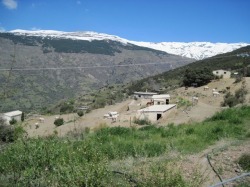 It's great hiking country, offering high altitude experiences to complement the warmer, gentler Alpujarras walks just below. 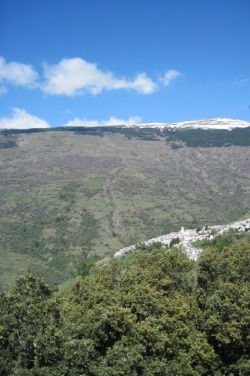 The north face, with the city of Granada at its foot, bears snow year round and offers good skiing, indeed the World Skiing Championship has been held here. 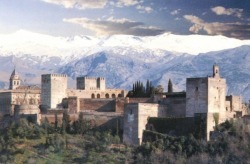 It provides a famous white backdrop to pictures of the Alhambra. 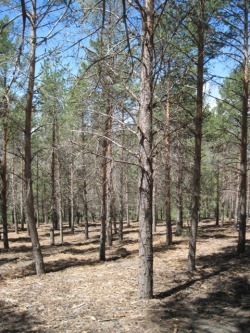 The southern slopes are a different story. Sun melts back the snow to allow walkers to roam the same high altitude world where ibex and birds of prey thrive. 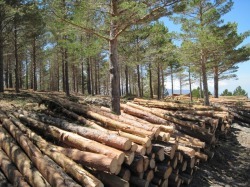 To protect wildlife, plant species and mountains themselves, a National Park was declared in 1999. 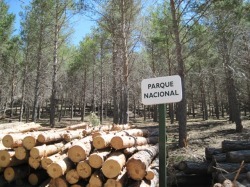 It’s easy to access by driving 13 km up the mountain road from Capileira to the Park entrance, which is manned by a ranger but always open with no barrier to walkers, and free to all visitors. 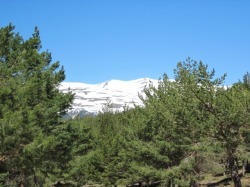 There's cool air, a fresh smell of pines, and a bright sun that illuminates an alpine terrain with views across to high peaks of Veleta and Alcazaba, down the valleys to the reservoir at Rules, and the Mediterranean Sea and distant Africa. 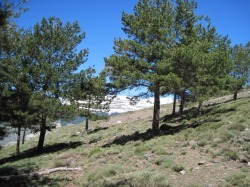 Walks include the trek over to the Seven Lagoons above Trevélez village and up to the summit of Mulhacén at 3,479 metres. It’s a fair way up but no climbing is involved, just stamina and sensible preparation: water, snacks, wind and sun protection, and layers of clothing for temperature changes: it’s always cold at the top, even in summer. A year-round refuge provides a handy overnight lodge for those who find the full ascent and descent on the same day somewhat daunting. 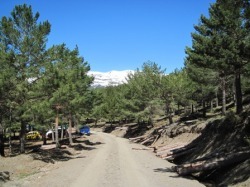 In summer months, a special minibus with guided commentary runs from Capileira a fair way into the Park itself, saving hikers the first section of the trek up. In winter, the snow is too deep to reach the summit, but as the Mediterranean spring sun obligingly clears the snow away, walkers are soon keen to make it up here. Horseriding for everyone, from beginners to the proficient, is available from Dallas Love's first-class stables on the same road up to the Park. It's an excellent way to enjoy the views. 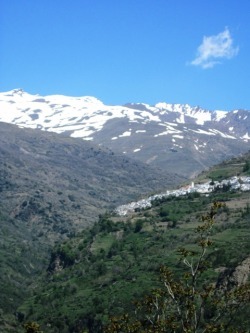 The snowmelt also makes an essential contribution to the agricultural needs and livelihood of the many villages dotted along the southern flanks of Sierra Nevada over the vast but sparsely populated area known as La Alpujarra, which stretches from Granada into the neighbouring province of Almeria. 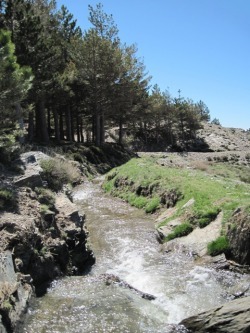 The network of acequias, irrigation channels, is a legacy of the Moors who settled in La Alpujarra after their expulsion from Granada in 1492.